Divergence Excess: Divergence excess (DE) can be described clinically as exophoria or exotropia at far greater than the near deviation by at least 10 prism diopters (PD). The prevalence of DE is approximately 0.03 percent of the population, and it is more common in women (60-70% of cases) and those of African ancestry. DE strabismus has a strong hereditary predisposition. The deviation is often first noticed in children less than 18 months of age. In general, surgery is recommended based on the frequency of time that the eye turns, not the amount of eye turn; surgery is typically recommended at age 3. Progression may occur throughout life, but typically at about 6 years of age, the deviation becomes more noticeable because of an increase in both the frequency and extent of the deviation. The closing of an eye in bright sunlight may be pathognomonic of DE. Usually the deviation is monocular (one eye turns). Patients usually have a NORMAL near point of convergence (NPC). They have normal Base-out fusional ranges at near. Vision is typically normal in each eye. Normal stereopsis (depth perception) at near. Single vision with Anomalous Correspondence (ARC): If ARC occurs when an eye deviates; the DE patient has an extension of the binocular field known as panoramic viewing. The angle of eye turn is typically 30 prism diopters. Asymptomatic: when the deviation occurs with either deep suppression or anomalous correspondence, no eyestrain or discomfort is typically present. Asthenopia (eye strain) is present when the patient has diplopia (double vision). Some DE patients complain of distance blur because they over accommodate to keep their eyes aligned. Without treatment, some of these deviations may decompensate and become strabismic, resulting in the loss of stereopsis and the development of suppression. This risk is greatest in children 0-2 years of age because ocular alignment is a prerequisite for the development of normal binocularity. When an eye is occluded for 45 minutes, 60% of patients will become strabismic at near to the same angle as their distance deviation. Treatment of non-strabismic vergence anomalies can be completed at any age. 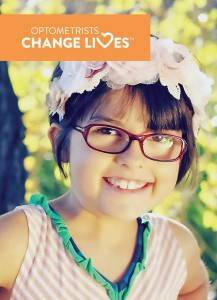 The success rate for vision therapy treatment is 90%. *note that surgery has not shown physiological support of mechanical causes – the extra ocular muscle insertions are normal. Surgery caries risk of inducing near esotropia. Divergence Excess Treatment is often treated differently than other types of Exotropia (outward eye turn). When accommodation is relaxed, so is convergence. AC/A is only 3.5 Δ/D in a DE patient if gradient testing is used (Plano phoria compared to +1.00 for example)! This is NORMAL (4 Δ/D is typical). Duane’s Theory: the exotropia is NOT due to relaxation of the medial rectus muscles, but due to active divergence of the lateral rectus muscles. Divergence goes beyond a range the patient is able to fuse. Flax Theory: Due to near point stress and strain, the patient has poor fusional skills. This manifests as poor control over coordinating relaxation of accommodation AND divergence. Sensory fusion is developed, but motor alignment is inconsistent. Flax method: Training is not done at the objective angle because sensory fusion is developed: alignment posture is emphasized in training. Stereoscopic targets are used before flat fusion and targets are first made smaller and then moved further away. Monocular skills and accommodation skills are emphasized. Near plus lenses are an integral part of therapy and maintenance. Cooper Theory: Proximal (due to something appearing close) triggers more near convergence ability. DE patients align their eyes when it creates the advantage of stereopsis. ARC is harmonious and only present during the eye turn – the eye turns out far enough that the patient has panoramic viewing and not wiring of mismatched points between the two eyes. When the eyes are aligned, correspondence is normal. Cooper method: Peripheral stereoscopic targets are used first and skills are extended from near to distance, Smooth vergences are mastered and then jump ductions. 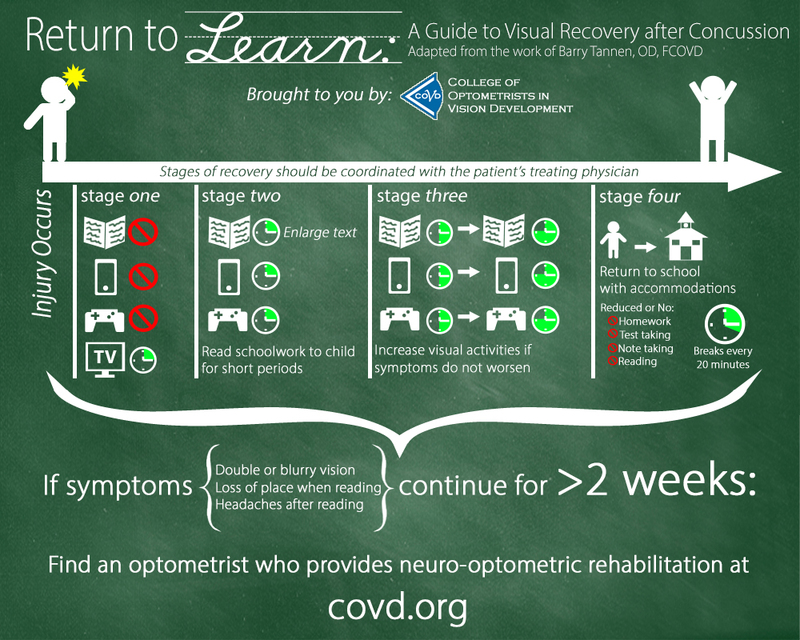 Fusion, BIM/BOP, and voluntary vergences are developed using physiological diplopia training. 3. COVD. (2009, July). 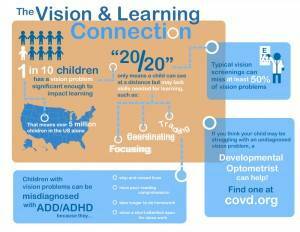 COVD fact sheets. 4. Cooper J, Medow N. Major review: intermittent exotropia; basic and divergence excess type. Binoc Vis Eye Muscle Surg Q 1993; 8(3 suppl):187-216. 5. 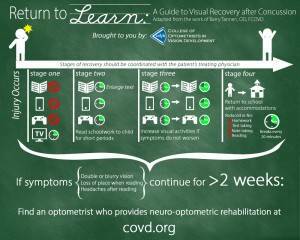 Mozlin, R. and Walker, K. COVD Blog: Prevention, Enhancement & Rehabilitation of Vision Problems: Divergence Excess. Nov 2, 2010. 7. Press, L. Applied Concepts in Vision Therapy Mosby 1997.